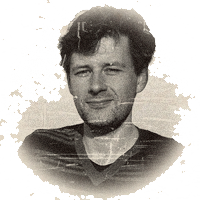 Maciej Ceglowski is the founder and sole employee of Pinboard, a personal web archive and bookmarking site with an emphasis on user privacy. He’s been an outspoken advocate of small pay-for-service websites as an alternative to the hype and impermanance of Silicon Valley startup culture. Before founding Pinboard in 2009, he worked as an engineer at a variety of tech companies, most notably Yahoo. Maciej maintains a long-running and somewhat popular weblog at idlewords.com, where he does his best to never write about technology. He lives and works in San Francisco.